Of course the constituency also includes the Saxon Share ward on Ashford council which is divided between Ashford Rural East and South on Kent CC. The Conservatives carried East fairly comfortably over UKIP although South was closer: 1,378 to 1,095. That’s a shocking result for the LDs – they once talked a good fight in this area, were well fought off by Michael Howard & now they can’t even beat Labour, let alone the other parties. Similar story in a lot of Kent. It makes one ponder whether most of the LD vote in the past was simply an non-socialist anti-Tory vote which didn’t give two figs about LD policy positions such as pro-Europeanism. Well I suspect in most cases it probably is, yes. They don’t tend to do enormously well in European elections for example do they? It was a coalition of anti-Tory voters, including Labour supporters, who mistakenly believed that by getting behind the Lib Dems they could “decapitate” Michael Howard. The Lib Dems didn’t do all that well here in 1997. “It was a coalition of anti-Tory voters, including Labour supporters, who mistakenly believed that by getting behind the Lib Dems they could “decapitate” Michael Howard. Indeed they didn’t. Most of the Labour voters clearly didn’t get the memo! I think there are grounds for supposing that the Lib Dem vote will fall by more than 6% points- though obviously one would expect some recovery compared with this year’s local elections results. I see Bob has transformed himself into Windsofchange and is now trolling on behalf of a new party. Quite a lot, in many parts of the country – see also Eastleigh. In the SW this is very much the case in many places – a large chunk of the LD vote has been an anti-politics, ‘anti-establishment’, ‘sod ’em all’ vote. Farage appears to be intending to stand here. He has indicated that this seat will be won “by standing on an anti-coalition ticket”. In fact this seat is ideal for him. There is both a strong Tory share and a strong LD share that he can eat into, whereas the Labour share is so small that he would be the only real opposition. I think that UKIP is confident of winning at least three seats in Kent in 2015. There have been rumours about Diane James standing in Dover, though that seat seems to be trending Labour rather than UKIP. I expect she will stand in one of the Thanets if she is to stand in Kent. I said this a few weeks ago and the polls seem to be bearing it out so far – the Godfrey Bloom controversy would mark the start of a long, slow decline of UKIP. Already their poll ratings mostly are in single figures and, save for a likely blip around the Euro elections, they may gravitate down to 2015 ending up with only 5% or so. Ipsos-MORI’s latest poll shows that UKIP are by far the most disliked of all the main parties – 25% like them and 52% dislike them, a net score of negative 27%. Given that many of the people who “like” them will grit their teeth and vote Tory or Labour, there is very little chance they can win any parliamentary seats with those kind of negative poll ratings. I’m inclined to agree – all along (I think I’ve probably said it a few times in past threads) I’ve felt that UKIP will advance from 2010 but only by 1.5/2%. Ultimately, however much sympathy some might have with UKIP, or any minor party, I suspect most of us end up voting for a party that could realistically take, or be involved in, government – even if means voting for the least worst option. I estimate 6% perhaps 7% for them nationally in 2015 but at this stage it’s impossible to say. They will get a burst of ratings around June 2014. The Conservatives have seen off a strong LIbDem challenge in this seat, which will give them a lot of experience to counter a UKIP challenge. A feature of Conservative campaigns here is heavy postering by farmers along the main roads, offsetting very many LibDem posters in the towns. It would be interesting to see if UKIP manage to convert farmers who have election billboard sites, and/or how many window posters they will be able to get put up in Folkestone and Hythe. If UKIP hope to get three seats in Kent, this presumably includes the two Thanet seats where they have most of the councillors. If UKIP intend to win Folkestone and Hythe, they are probably targeting Sittingbourne and Sheppey too. Remember as well that some of the Medway seats didn’t have elections this year, but UKIP would have probably done well there indeed. It wouldn’t surprise me if there were six or seven Kent seats on the UKIP target list. However it is too early to tell if they have a chance of winning each of them, though it would be foolish to dismiss their chances in Thanet for starters at present, even on a 10-15% share nationally in 2015. They have got the power of a major party activist-wise. They won’t be targeting one or two seats like the Greens. They are a very different organisation. Once again this illustrates UKIP relative strength in areas where the Lib Dems had been strong. Last Euro elections UKIP were ahead in area including Torbay and Hull. It is almost certainly wrong to expect Lib Dem voters to have a problem with UKIP’s European stance. It is more likely that they are fundamentally against Lab and Con and Europe is low on their list of many grumbles. The Conservative majority here depends upon on the UKIP/Lib Dem split of the no Conservative voters. In seats with no Lib Dem tradition – e.g. in Thanet, Lincolnshire the UKIP vote looks as if it comes from both Labour and Conservatives. I think the work rate of sitting MP’s and candidates will be more important in 2015, as party organisations have fallen in to decay. It is interesting that UKIP also did well in Huntingdon where the effort put in behind the party leader has been forgotten. Agreed GT. They are doing very well in places that the traditional parties have seemingly forgotten about, such as the so-called safe seats. No seat is truly safe though logically, even if it is highly unlikely to change hands. It is arrogant to simply claim ownership of the votes of those living in a particular constituency like many of my Tory colleagues unfortunately do. I worry that they are in for a severe shock come 2015 if the political situation does not improve from a Conservative perspective. I agree with 111 that UKIP should, from their point of view, be targetting Shepway and Sittingbourne. The demographics of that area look good for them and, to be candid, the MP there (I had to go and check his name, which says something, perhaps) does not seem to be being as effective as, say, Tracy Crouch, Laura Sandys or Charlie Elphicke, leaving aside the more established MPs in East Kent. I am not sure that UKIP are not targetting like the Greens because they are a different sort of organization. I am inclined to think it is because they have not got their act together, as recent statements by Nigel Farage seem to acknowledge. “Kent on Sunday” had a big article last Sunday suggesting that Nigel Farage is intending to stand in Kent. They thought this would probably mean this seat or one of the two in Thanet. KoS indicated that this seat would be a harder target than one of the two Thanet ones. 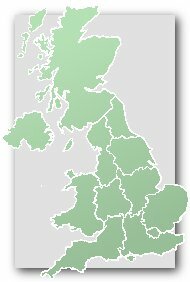 Local journalists usually have their “ear to the ground.” The truth is that none of the three seats will be easy for UKIP, Thanet North because Sir Roger Gale is so well entrenched, Thanet South because it has recently been a Labour/Tory marginal and this seat because the Conservative machine is well exercises, and the demographics are somewhat less favourable. UKIP has many more activists (not mere members) than the Greens and are at present a more effective campaigning team than the Lib Dems. However I would say that they are a bit behind the Tories in this respect, which means they are behind Labour for sure. It may be a rag tag organisation, but I have noticed that they are getting their campaigning act together. If they campaigned properly they would be a very nasty force. At present it seems that they are unstoppable in their strongest areas because they are developing such a strong organisation. This seat is probably harder to win for UKIP than the Thanets or Sittingbourne and Sheppey, or the Medway seats; but if Farage was the candidate surely the odds would be in his favour here going into 2015? is it possible for ukip to win north devon?? Re Andy’s spreadsheet,on UKIP, leaving aside the special case of Buckingham (because there was no Conservative candidate as much as Farage’s candidacy), it is remarkable how little difference there is between percentages for seats in adjacent positions on the list. Only Boston and Skegness stands out as a slightly better prospect, otherwise the rankings could very easily be changed by random variation. Following recent discussion, we have rather been assuming in discussing, on this thread and others, where Nigel Farage might stand that he can pick and choose, but local voters might reasonably wish to have a say in who is their UKIP candidate. As I understand it, following the county council elections, leading to an increased number of UKIP councillors, Farage himself is concerned at tightening up UKIP procedures, which will involve such things as vetting UKIP candidates and then having formal selection procedures. Which means that Farage might need to strengthen his position by oversoming challenges from other UKIP members in a candidate selection. Overhauling selection procedures raises issues about getting prospective UKIP candidates in place a reasonable time before the general Election. I personally think that selecting candidates too early can result in their being at a loose end and losing enthusiasm, but clearly serious candidates do need to be campaigning for months before the formal election period. Farage has a huge grip on UKIP though, it’s almost cult-like. If he wanted to stand here, he would get his way for sure. I think that he will stand in Kent and he has dropped hints about this seat in particular. I was in Folkestone last week, and was surprised at what a dump it is. Lots of formerly nice and large victorian houses decaying and split up into flats. The outer areas of the seat are pleasant but the eponymous town deserves mention on the Jones and Hemmelig list of crap seaside towns. You’re not wrong. Both Folkestone and Dover have been devastated by the Channel Tunnel, on top of the general decline of coastal towns. The Hythe part of this seat is still pretty nice, which is I presume why it’s still so safe for the Tories. Both Romney and Dymchurch are included in the “Hythe part of the seat” as per my comment above yours. I know all 3 villages quite well and they are all nice places where you would expect a very strong Tory vote, as you would from the surrounding rural area. Dymchurch has a beautiful sand beach, which is quite rare on this stretch of coast which is mostly shingle (Camber Sands is a misnomer). Interesting that Hythe went Green at the last local elections. Seems a very strange place to vote in that way. A little bit surprised at UKIPs strength in the Folkestone area too. I still don’t think this is one of UKIPs most natural areas despite the recent locals. I basically agree with Tim. Even Hythe is quite fertile territory for UKIP, it is a nice area but still very lower middle class in character. There are a lot of ugly wind turbines on this stretch of very windy coastline, which is an added boost to UKIP, and the nuclear plant at Dungeness which probably helps the Greens. The biggest obstacle to Farage is his lack of commitment to any particular seat. He looks like a carpetbagger and this will hurt him in the election against an opponent who is well dug-in locally, as it did against Bercow. In this respect, fighting a more obscure incumbent like Damien Collins is perhaps a smart strategy. However I still think he will struggle to get 20% of the vote on a general election turnout, which should allow the Tories to hold the seat. Indeed, Farage is in danger of looking like Nick Griffin, not so much in terms of policy (that wouldn’t be fair) but in terms of not nursing a seat, but moving constantly from one area of the country to another. I beleive that Damian Collins has pointed out that Nigel Farage is showing a lack of commitment to a seat. Anyway, what are UKIP’s selection processes? Presumably Nigel Farage should apply when the local UKIP organisation decides to seek a candidate, should he wish to stand here. The EU referendum would still beckon but failure to get traction in 2015 would surely leave the troops dispirited. Even worse, recriminations might be rife if the UKIP “success” at the polls didn’t bring any seats but precipitated the Tories into Opposition.. and a Labour gov’t scrapped the referendum… multiple own-goals at once.. Sometimes voting for a Green candidate signifies discontent with the other parties rather than a positive vote for Green policies, coupled with a strong local candidate (who just happens to be standing for the Green Party). Your making the assumption that the EU is the driving force behind UKIP’s increasing success. The driving force is the disgruntlement among the provincial lower middle and white working class towards the dominant metropolitan establishment. An Ed Miliband government is likely to increase that disgruntlement further especially among traditional Labour supporters within those groups. If the Conservatives are unable to attract those voters (and under the present leadership they have non hope of so doing) then UKIP will pick them up by default. do they have an economics spokesmen? do they know what one is? UKIP have lots of policies, often changing and often incontradiction. A vote for UKIP is a vote against the establishment. What we’re going to get over the next decade is stagnation or falling living standards for most people but a concentration of wealth among the top 10%, especially the top 1%. At the same time economic and social mobility is going to continue to fall. Not a basis for a happy society. This is going to produce more and more anti-establishment votes and these will be hoovered up by UKIP. Potenetial UKIP voters wont care about UKIP policies – they assume that all politicians are liars and all manifesto promises are worthless. With some justification as well. The UK is lucky in that the anti-establishment vote is going to be picked up by a party as harmless as UKIP. In many other countries it will be gained by some very unpleasant people. Arguably Strasbourg is a better place for the leader of a minority party to be that Westminster anyway. It gives the leader a link with a larger consitutency, particularly in the gerrymandered South-Eat where it is possible to get elected with a small proportion of the vote too. The major parties at Westminster have long experience of coralling minor party candidates or independent. For instance, Carloine Lucas, who is viewed more favourably by Westminster than Farage would be unless he had UKIP colleagues, to some extent gets restricted to environmental issues. in case anyone’s alarmed by that, the 4 seats are Bognor Regis/Littlehampton, this one, Great Yarmouth & Crewe/Nantwich.